Dr. Cepeda has disclosed that he has no relevant financial or other interests in any commercial companies pertaining to this educational activity. 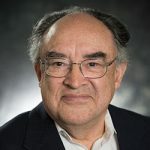 The author of the Concise Guide to the Psychiatric Interview of Children and Adolescents, as well as a clinician who has served both inpatient and outpatient pediatric populations for decades, Dr. Cepeda shares his interviewing tips on how to detect signs of psychosis in children. If a kid without psychosis says Freddy Krueger’s in the closet and his parents assure him that no one is in there, he will eventually settle down and fall asleep. A psychotic child will not be able to fall asleep and will persist in his belief no matter how much reassurance he receives. Another important clue is if the child has these fears during the day or at school.